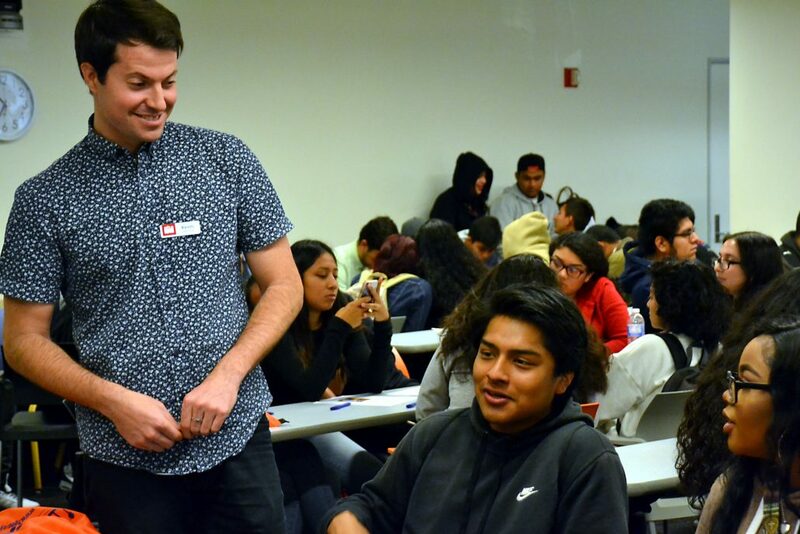 When 105 high school sophomores came together with urban planning students, professors and professionals at the UCLA Luskin School, everyone in the room stood to benefit. The students came from two Central Los Angeles schools as part of Gear Up 4 LA, a federally funded program to put underserved students on the road to college. The adults were there to support this mission but also to address the vexing lack of diversity in their field. 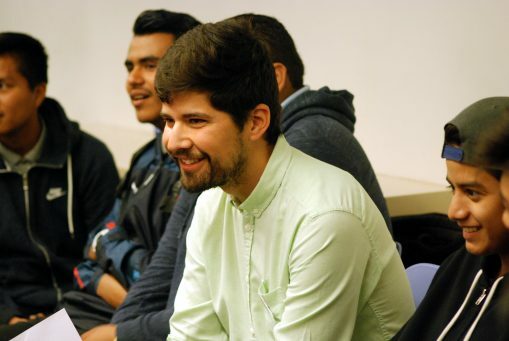 Many young people aren’t familiar with urban planning as a major or career path, said Rodrigo Garcia, MURP ’15, a transportation specialist with Alta Planning + Design. As part of the firm’s pro bono work, Garcia collaborates with schools across Los Angeles with the aim of diversifying the field. “We want to urge these kids to have an impact, to make changes in their community”­ regardless of which career they choose, Garcia said. 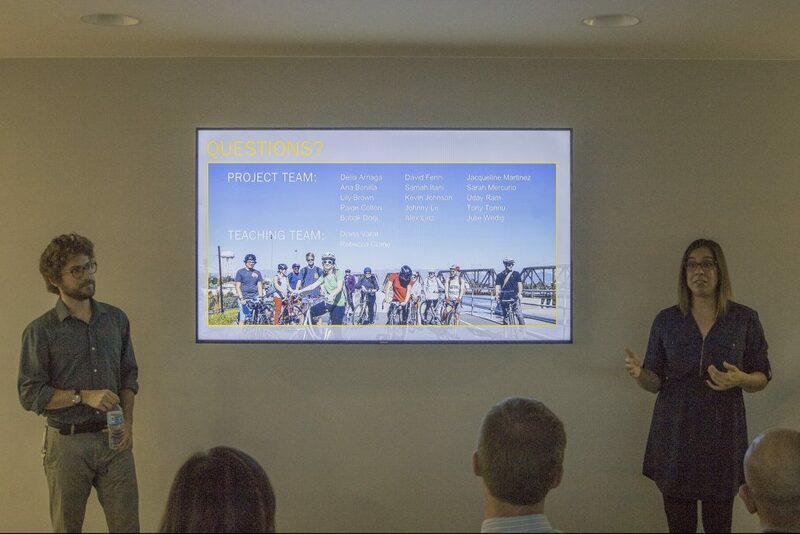 Alta Planning hosted the March 22, 2018, event with the Luskin School’s Planners of Color for Social Equity and Urban Planning Womxn of Color Collective. UCLA Luskin professors Kian Goh, Chris Tilly and Goetz Wolff shared their expertise on the opportunities and challenges that planners face. “I get the same question from my mom,” said Mayra Torres, a fourth-year student majoring in sociology and minoring in urban and regional studies. Sixteen-year-old Paola Flores was unfamiliar with the field before the event but left wanting to know more. 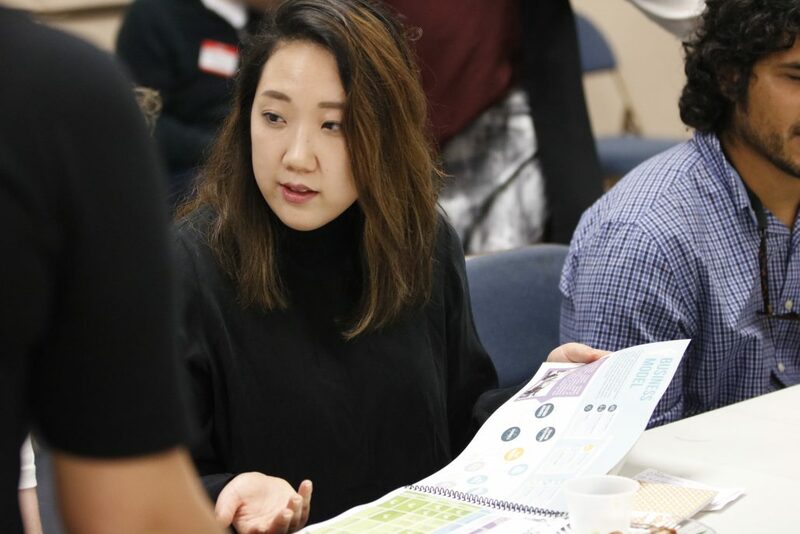 She was impressed by a workshop led by Alta Planning’s Kevin Johnson, MURP ’17, who asked the students to chew over a planning issue, then create a meme, gif or Instagram story to communicate their ideas — all in an hour’s time. Paola attends West Adams Preparatory High in the largely Latino and immigrant community of Pico-Union. Students from Robert F. Kennedy Community Schools in Koreatown were also at the event. “We want to build a college-going culture in our community,” said David Gantt, the RFK site coordinator for Gear Up, which stands for Gaining Early Awareness and Readiness for Undergraduate Programs. Beginning in middle school, Gear Up guides low-income, first-generation and minority students through each step on the path to a higher education, Gantt said. Counselors work one-on-one with each student, and workshops show families how to read high school transcripts, interpret PSAT results and apply for financial aid, among other services. In some cases, the support extends through the freshman year of college. 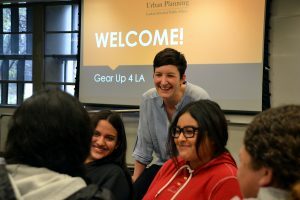 Gear Up students visit college campuses across Southern California, West Adams site coordinator Danny Tran said, but he believed this was the first group to visit an urban planning program. 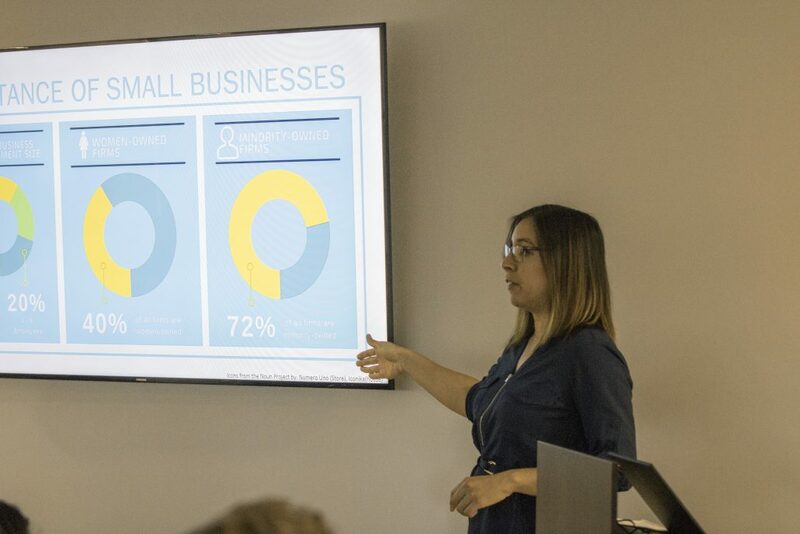 “Students who want to build bridges or design roads might think they need an engineering degree, especially with the current emphasis on STEM,” Tran said. The UCLA Luskin session introduced them to another path. Greg Maher, a principal at Alta Planning who volunteered at the event, said he hoped the diverse group of students would get hooked on urban planning. “This field is very white and very male. 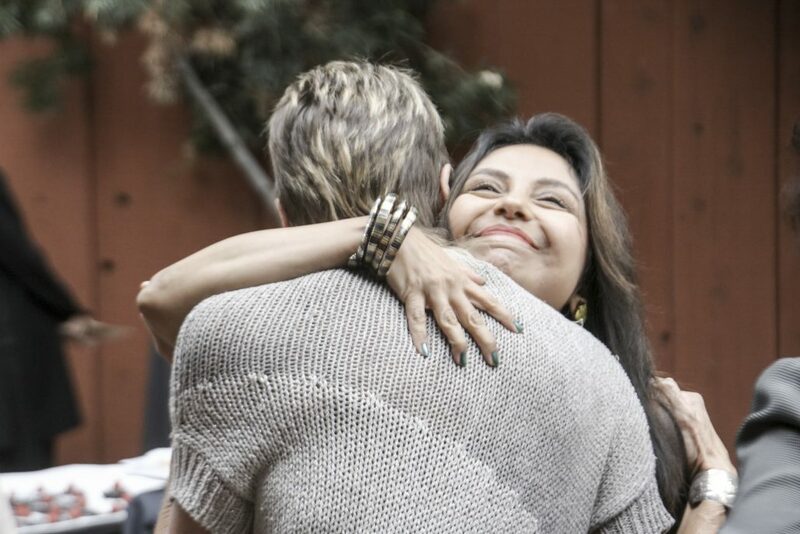 It drives me crazy,” said Maher, who received a BFA in design and certificate in landscape architecture from UCLA. “We need to recruit and retain more planners of color,” agreed MURP candidate Raisa Ma, one of several UCLA Luskin Urban Planning students on hand to mentor the high schoolers. They included Marlene Salazar, who moderated a panel that included the three faculty members, undergrad Torres and MURP candidates Jacob Woocher and Jesus Peraza. “I want you to know you can get an education, you can get a degree and change the world you live in,” Torres told the students. Goetz Wolff, center in black cap, with students who participated in the 2015-16 Community Scholars project on the ports of Los Angeles and Long Beach. 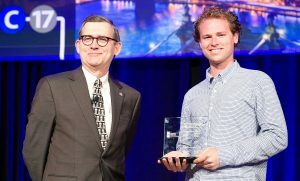 UCLA Luskin’s Dylan Sittig, right, accepts the award at the National Planning Conference from Glenn Larson, president of the American Institute of Certified Planners. 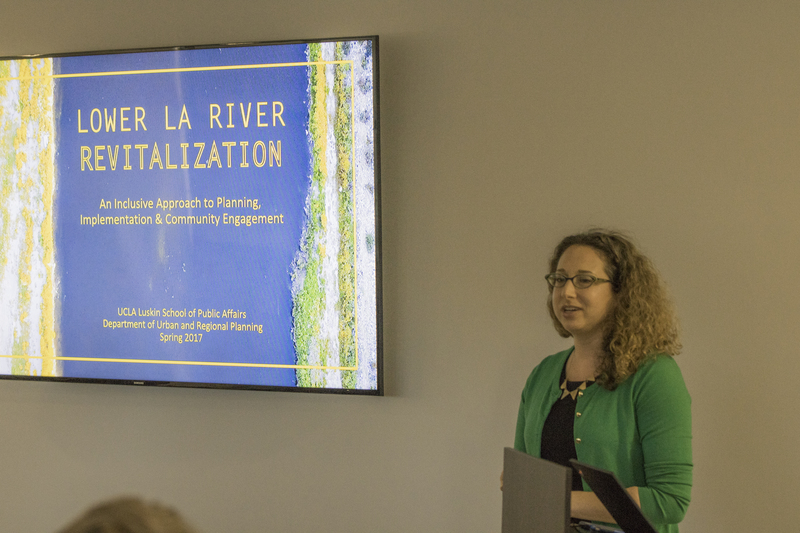 Each year since 1991, scholars and students from the UCLA Luskin School of Public Affairs have worked together with community stakeholders to focus on timely and important Los Angeles regional issues and publish their findings and recommendations. 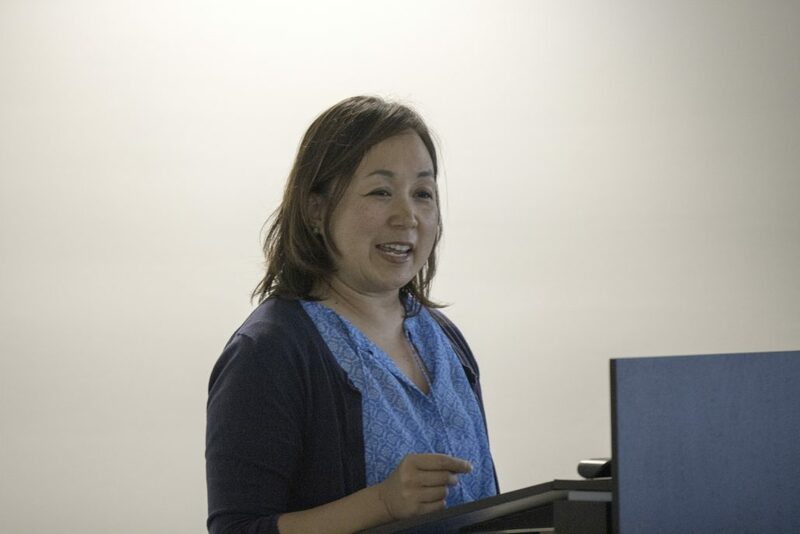 For their 2015-16 study of the distribution of goods in Southern California, the Community Scholars, a joint initiative of the Luskin School’s Department of Urban Planning and the UCLA Center for Labor Research and Education, has received national recognition in the applied research category from the American Planning Association’s (APA) professional institute, the American Institute of Certified Planners (AICP). Chosen from a competitive nationwide field of candidates, the project, “Delivering the Good: Strategic Interventions Toward a Just & Sustainable Logistics System in Southern California,” is one of just two projects receiving the AICP award for applied research. UCLA shares the award with the University of Virginia. “The enthusiasm of the students not only resulted in this excellent final report, but just recently they became involved in contributing to comments on the Clean Air Action Plan,” said Goetz Wolff, an urban planning faculty adviser for the project who has been a part of the program since its founding. Community Scholars also was recently recognized for its 25 years of commitment and service to the community with UCLA’s 2016 Community Program of the Year honor, the Landmark Award. To ensure the needed breadth of knowledge that the topic of sustainable goods movement required, Wolff said, students — all candidates for the Master of Urban and Regional Planning (MURP) degree in 2016 — were selected from several of the Urban Planning areas of concentration: economic development, transportation and environmental planning. The winning project was focused on the movement and distribution of goods through the ports of Los Angeles and Long Beach and its disproportional negative impact on local communities, labor and the environment. 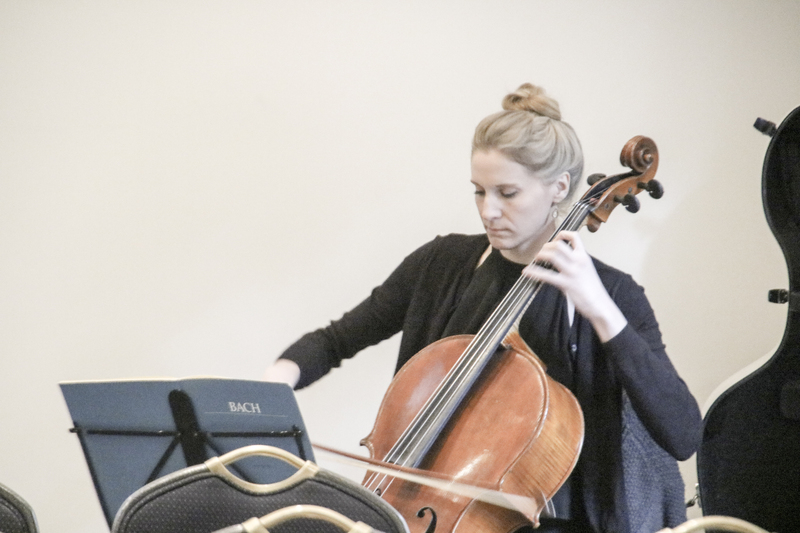 “The combination of perspectives and skills resulted in a powerful mix with our community scholars,” Wolff said. The program expanded its knowledge base by bringing aboard Linda Delp, who heads UCLA’s Labor and Occupational Safety and Health program, as a co-instructor. As part of their research, the students went on several field trips, including a bus tour of the Alameda Corridor, a boat tour of the Port of Los Angeles and a tour of the massive Costco distribution center in the Inland Empire, Wolff said. Teo Wickland, a Ph.D. student in urban planning at Luskin, and Katy McNamara, a doctoral candidate in environmental health sciences at UCLA, served as teaching assistants for the course, which also serves as the capstone project for Luskin MURP students. 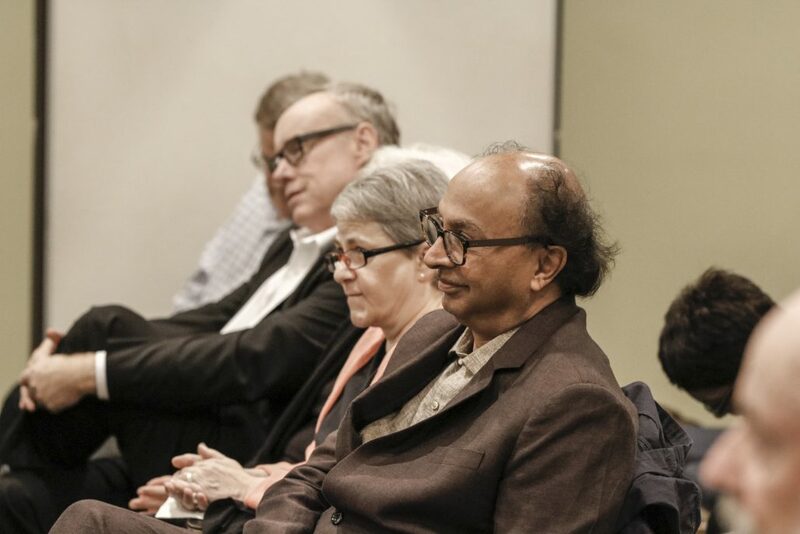 In addition, at the Community Scholars weekly meetings held at the UCLA Downtown Labor Center, the group heard from experts, organizations and activists concerned about the impact and future of goods movement in the region. 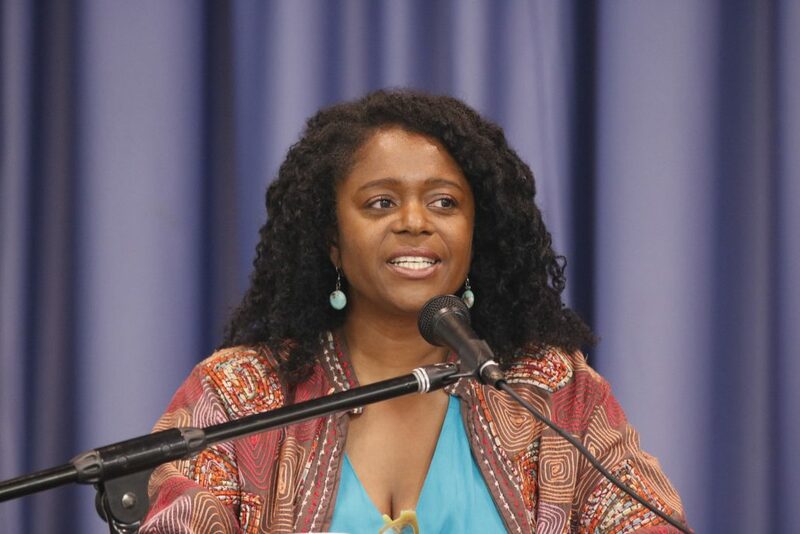 “The participants from community organizations also brought their values and environmental, community, labor union and institutional experiences so that we had shared learning and research,” Wolff said. Student team members who participated in the project were Adriana Quiquivix, Ariana Vito, Diana Benitez, Dylan Sittig, Edber Macedo, Evan Moorman, Gabriel Gutierrez, Kate Bridges, Lindsey Jagoe, Meghmik Babakhanian, Michael Barrita-Diaz, Saly Heng, Sam Appel and Stephanie Tsai. Bio information on 2016 Community Scholars team may be found in the full report. The winners of the 2017 awards will be recognized May 9 at the APA/AICP Annual Meeting and Leadership Honors event held in conjunction with the 2017 National Planning Conference in New York, N.Y.
Goetz Wolff, center in black cap, with students who participated in the 2015-16 Community Scholars capstone project on the ports of Los Angeles and Long Beach. 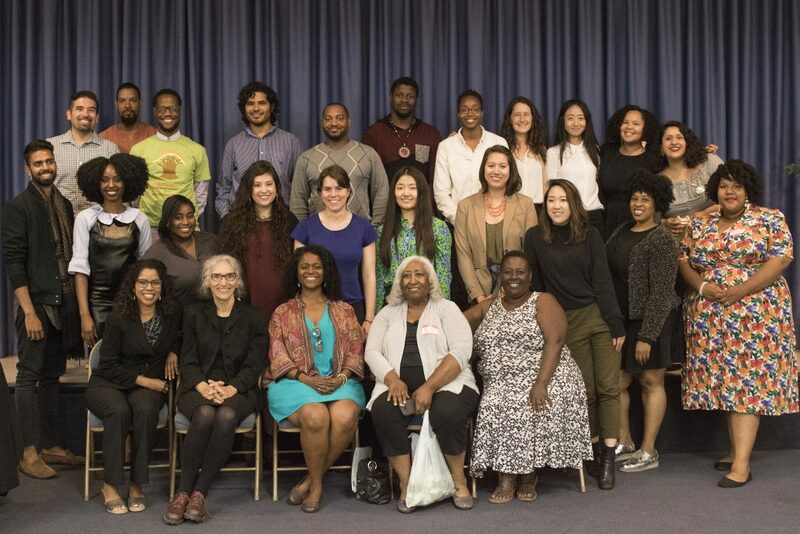 For more than a quarter-century, a unique UCLA community outreach experiment has brought UCLA Urban Planning students, faculty and community stakeholders together to focus on jobs, wages, workers and many other important Los Angeles issues. 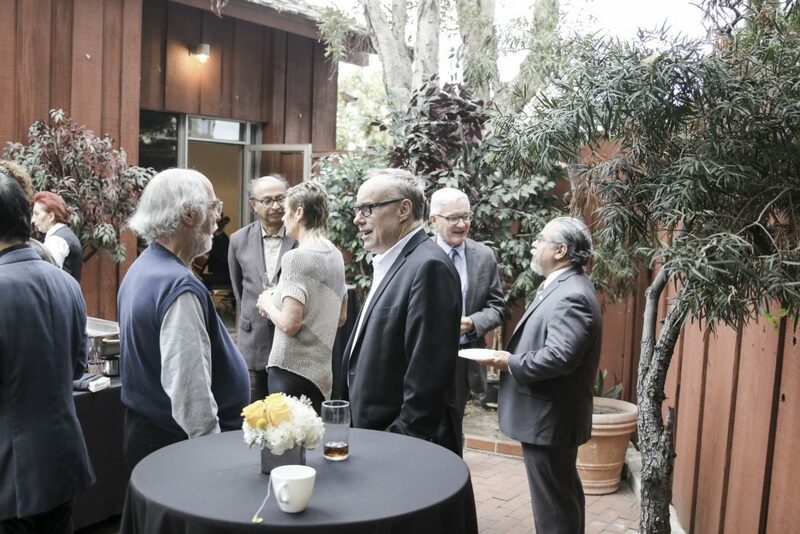 The Community Scholars — a joint initiative of the UCLA Luskin School of Public Affairs’ Department of Urban Planning and the UCLA Center for Labor Research and Education — began with the first evening class in 1991. 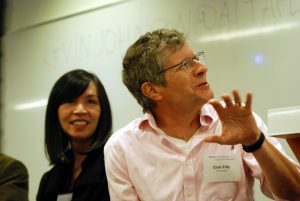 “The very first class was a totally an experiment,” said UCLA Urban Planning instructor Gilda Haas. Haas and Urban Planning lecturer Goetz Wolff continue to teach in the program, and both have been a part of Community Scholars from the beginning. 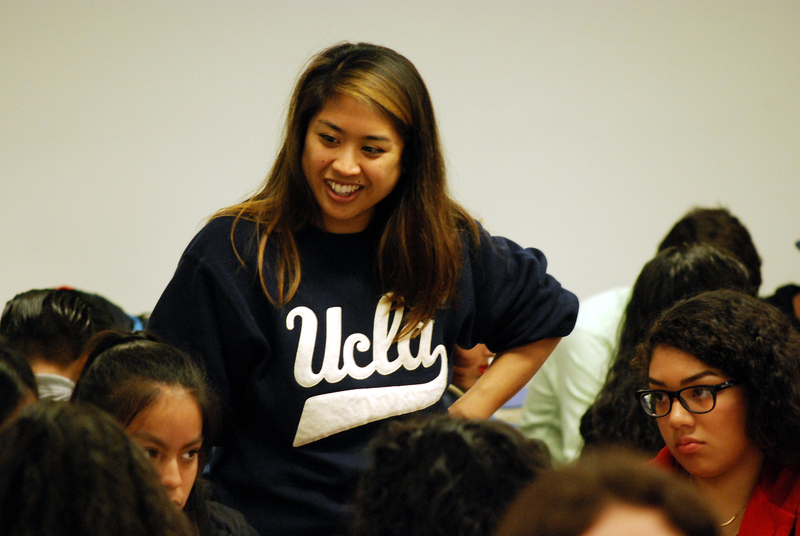 Community Scholars has won the Landmark Award as the 2016 UCLA Community Program of the Year, an award recognizing UCLA programs that have made a significant impact in the communities they serve throughout many years of service. 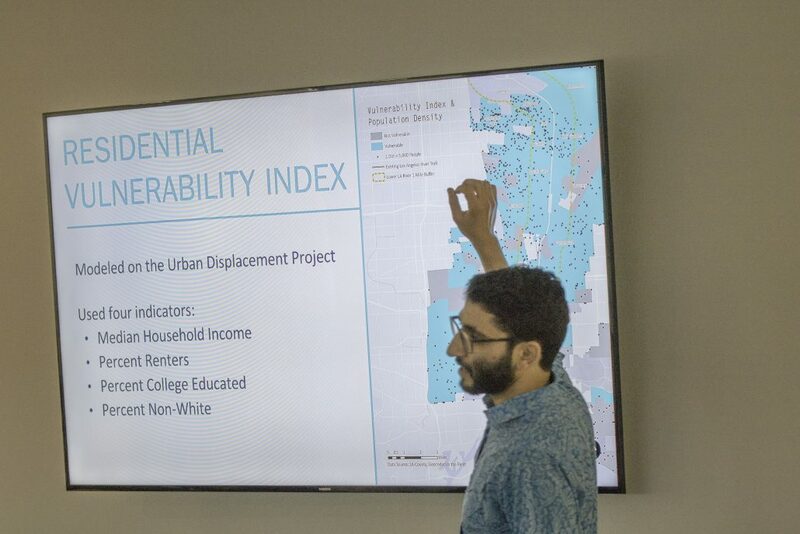 The Community Scholars program serves as part of a capstone project for 15-25 master of urban and regional studies (MURP) students each year. 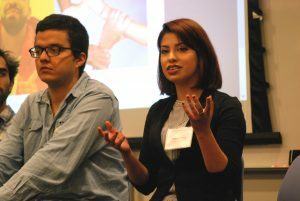 And, while the yearly two-quarter research seminar serves as a graduation requirement for the students, the program also recognizes the role the community plays in shaping development policy in L.A.
Past Community Scholars project topics have included manufacturing, banking, Walmart, home-care workers, immigration, green-collar jobs and the right to health in South Los Angeles. 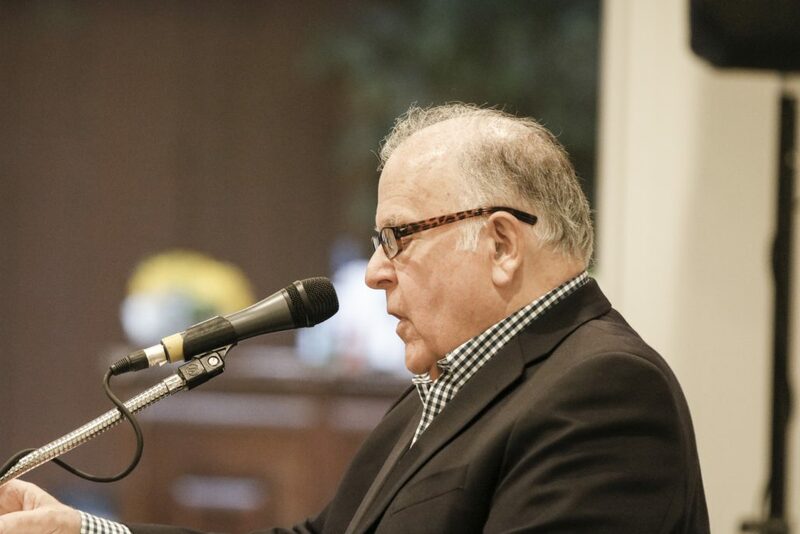 Although looking at industries in L.A., at their core, these topics focus on the human dimension and are “concerned about working people,” Haas said. 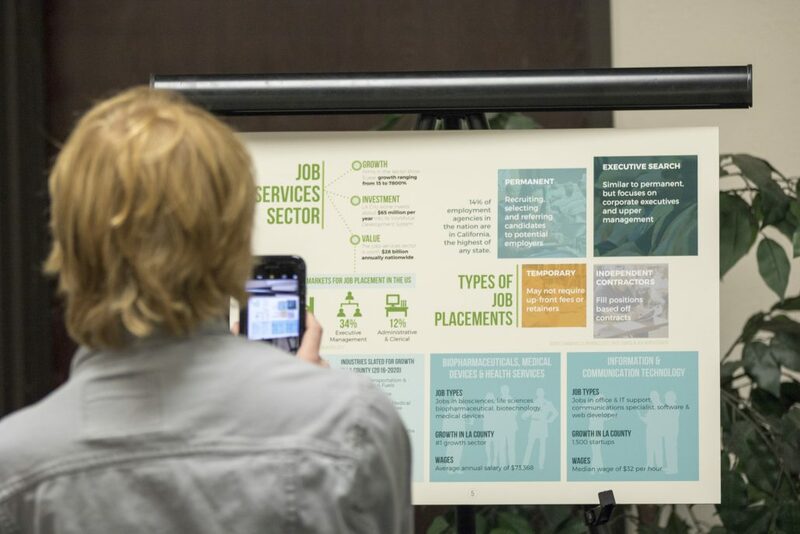 For example, the project for the first year was Accidental Tourism, and it focused on the hotel and restaurant industry, specifically unions and workers. 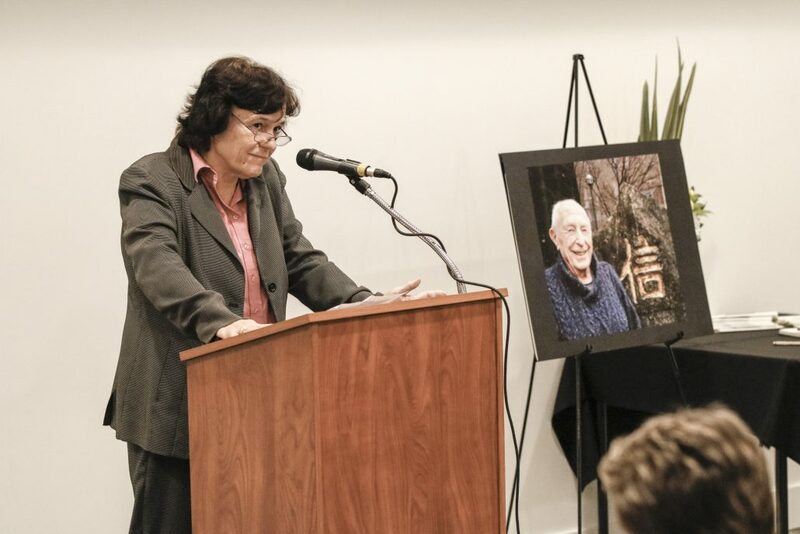 The most recent project was dedicated to longtime Urban Planning professor Jacqueline Leavitt, who had served as the director of the Community Scholars program since 1999 until she passed away in November 2015. The most recent report was led by Goetz Wolff, “Delivering the Good: Strategic Interventions Toward a Just & Sustainable Logistics System in Southern California,” and served as the client project for the Los Angeles Alliance for a New Economy. “Delivering the Good” focused on the movement and distribution of goods, via the ports of Los Angeles and Long Beach, and the disproportional negative impact on local communities, labor and the environment. 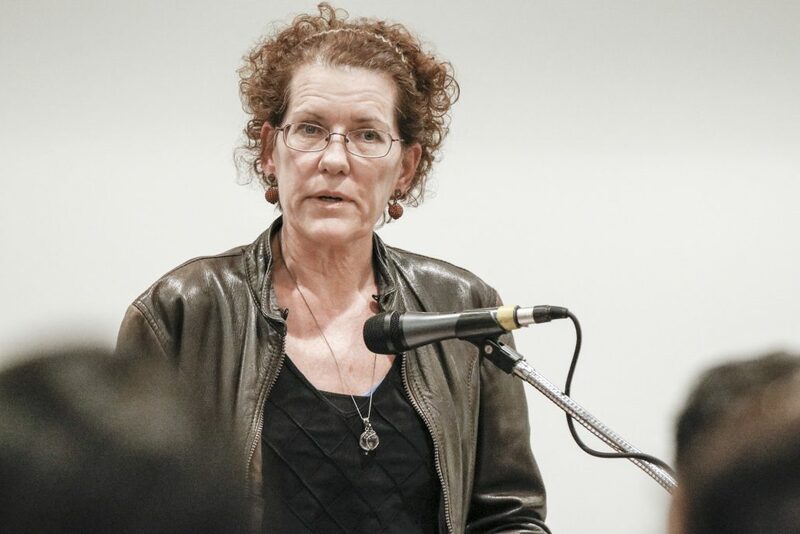 Haas said that a number of students who have participated in the program have gone on to become research staff for labor unions and community organizations. The award was presented Oct. 13 at the annual UCLA in Downtown L.A. reception at Los Angeles City Hall. Goetz Wolff’s research and teaching interest center on equity and economic development issues—in particular the reciprocal roles of industries and regions in shaping each other. 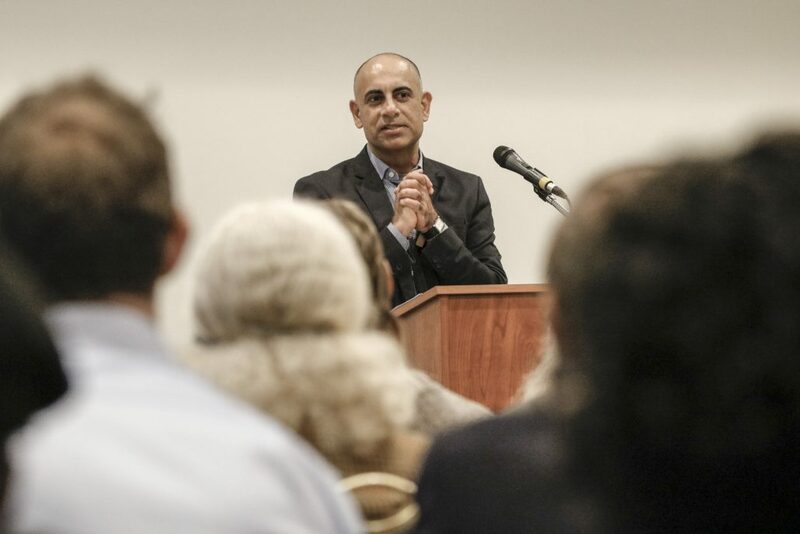 His current work identifies and promotes economic development policies that address the consequences of economic restructuring in the Southern California region. He works extensively with organized labor, as well as community organizations, public and non-profit agencies, and the private sector. Wolff teaches courses on Sectoral Analysis, The Southern California Regional Economy. 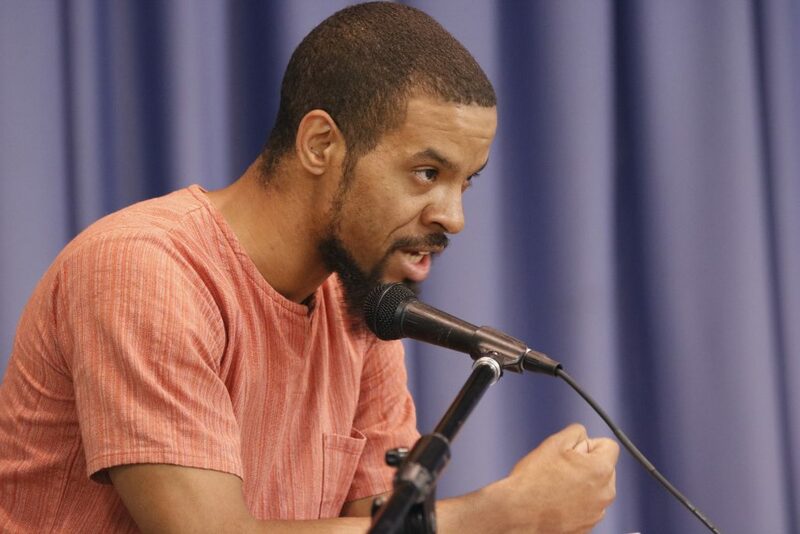 He has taught two courses focusing on Wal-Mart and “walmartization.” The first course analyzed Wal-Mart’s success and impacts, and the second dealt with responses by labor, community, environmental, and small businesses to Wal-Mart. The courses culminated in a major conference “Is Wal-Mart Good for America?” with over 500 participants. chapter in David Sloan (ed.) Planning Los Angeles. Chicago: American Planning Association, 2012. What Aspect of Critical Planning Should We Be Concerned With? Critical Planning Vol 15, 2008.
a joint UCLA/UC-Davis research project funded by UC-Humanities Network. For the California Labor Federation and the LA Food Policy Council. 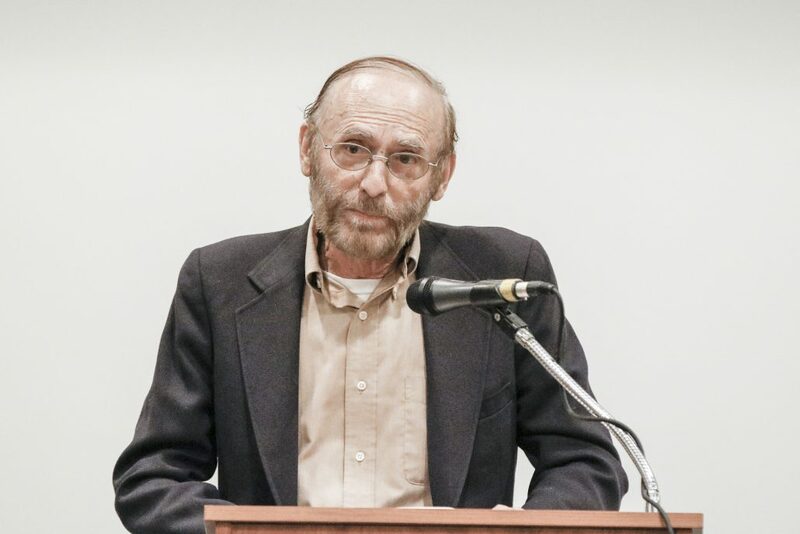 From 1999-2004 he served as the Research Director of the 800,000 member Los Angeles County Federation of Labor, AFL-CIO and director of the Center for Regional Employment Strategies (CRES). Developing a research program on Global Logistics (the new international web of production, transportation, distribution and sales that is reshaping the role and status of workers and communities) for the International Longshore and Warehouse Union (ILWU). Strategic Planning Consultant for the United Way of Greater Los Angeles Workforce Development Project. Southern California Edison (SCE)—developing the Apparel Industry Roundtable, and supporting sub-regional economic development cooperation among cities, agencies, and the private sector in a period of industrial restructuring. 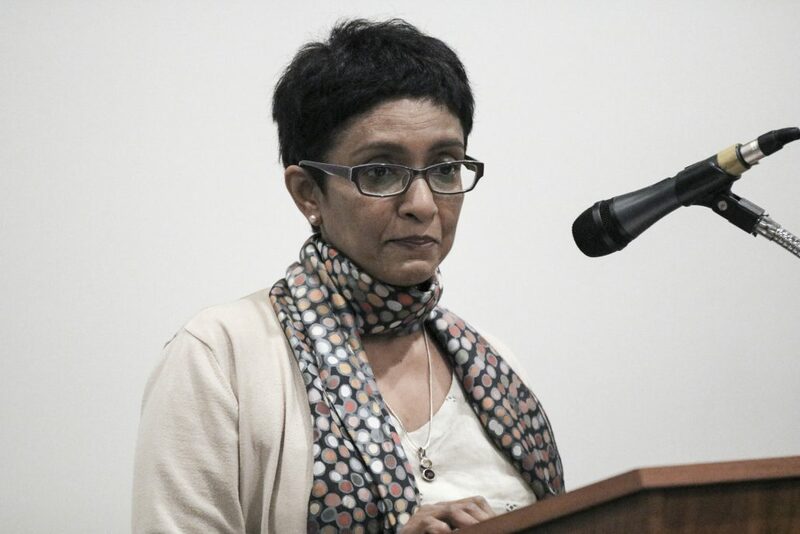 Diane Middleton Foundation [ “to support fundamental change through struggles for economic justice and projects that address community and labor organizing, civil rights and civil liberties, labor education, and training a new generation of leaders”], board member.